An emotional rollercoaster ride is exactly what you will be getting from the first episode from Life Is Strange: Before the Storm. Life is Strange is known for being a very emotional game and its prequel follows this path as well. 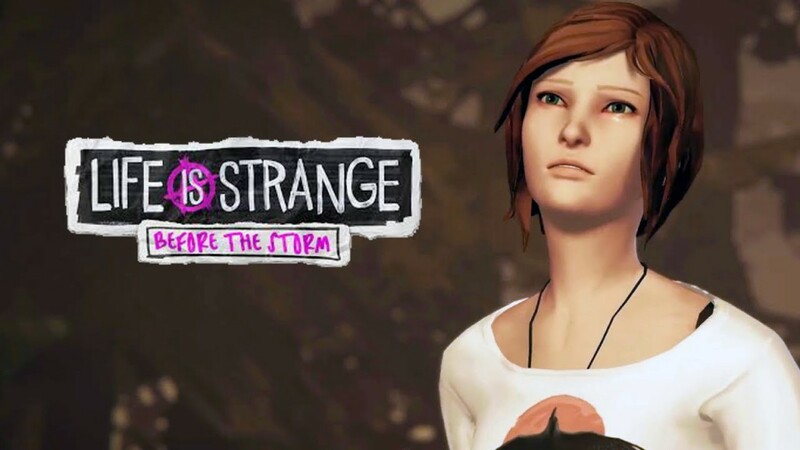 In Life is Strange: Before the Storm, you play as Chloe a girl who speaks her mind most of the time. This is also Chloe’s talent as she can talk her way through everything, at least if you (the player) choose the right argument/insult. So prepare for choices that will either aid Chloe or bring her down. 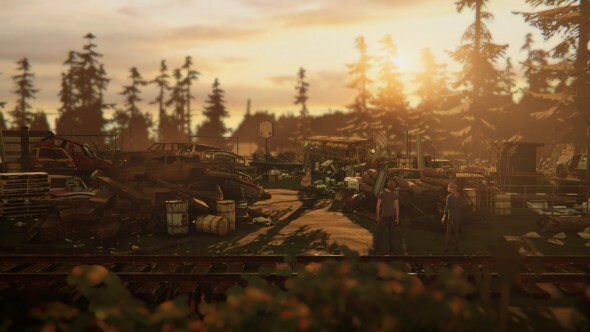 Life is Strange: Before the Storm takes place before the events of Life is Strange. You play as Chloe, Max her best friend (or more) in Life is Strange. You get to experience what Chloe went through before the events of Life is Strange. Chloe’s dad died in a car crash and if this isn’t bad enough her best friend Max moves away as well. These events leave Chloe devastated and makes her a rebel and a drug user. Max doesn’t keep in touch, so Chloe feels like she has to deal with everything alone. Her mom after some time, gets a boyfriend named David although she just calls him just a friend. Chloe absolutely hates David because she feels that he is forcefully entering her home and messes with everything her mom and her dad had. When Chloe goes to a sketchy club where one of her favorite bands is playing and of course gets into trouble, she suddenly meets Rachel, who is one of the most popular girls in school, who then rescues her from the bad guys. Chloe is surprised to see Rachel in such a sketchy place because she pictures Rachel as miss perfect. The school Chloe goes to is Blackwell academy but she absolutely hates it there. So she skips school most of the time. Rachel also goes to Blackwell academy and after she posted a picture of her and Chloe at the club, everyone sees her and Chloe as friends. When Chloe goes to school for once she immediately gets approached by Rachel as a friend. Rachel then “makes” Chloe skips school to go on an adventure with her. After you meet a new character you can check Chloe’s journal where she gives her opinion every single one of them. She also writes in her journal about what happened between loading screens. These journal pages are all dedicated as letters to Max that Chloe will never send, because she gave up on that. Episode 1 does a great job in re-introducing some characters and introducing others. It immediately throws you into the pool of emotions that is Life is Strange and gets you excited and nervous for the next episodes. 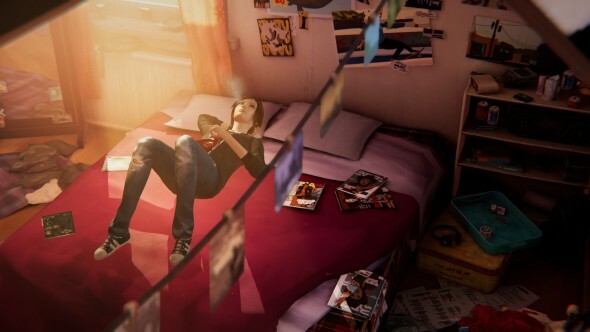 The Graphics in Life is Strange: Before the Storm are great but not that high-tech. Nonetheless, there is just something that makes the game beautiful. Its style is realistic but still with a touch of cartoony. The backgrounds aren’t overly complicated but are detailed in just the right spots. All the characters now look slightly younger which is a nice touch. Expressions from the characters are great only the tears are a bit wonky. When someone cries the tears appear a bit more basic although the face becomes wet like they cried a whole lot more than a little stream. They use motion capture for the animations of the character, because of this the movements of the characters become even more realistic which adds to the experience. The songs are amazing. Daughter did an awesome job in backing up the emotional gameplay with emotional songs. Every song chosen by the developers fits Life is Strange: Before the Storm perfectly and really helps the emotional part of the game to stand out more. The voice actors did a really good job voicing the characters. Even though Chloe’s voice actor isn’t the same person as the voice actor in the first Life is Strange, she did a great job voicing Chloe with that same attitude as in the original game. If you didn’t hear them side by side, you couldn’t tell the difference. She does sound a bit younger but that doesn’t matter because Before the Storm is 3 years before the events of the initial game. So it makes sense for Chloe to sound a bit younger. Sadly, there seems to be a bug present in the sound timing. Some sentences either Chloe or other characters say get cut off before they can finish their sentence. This happens mostly when you examine something for the first time and Chloe gives her explanation/opinion on the matter. Strangely, if you examine the same object/person a second time it doesn’t happen anymore. It doesn’t happen in every conversation but happens enough to be annoying. Life is Strange: Before the Storm is an Action Adventure game where the choices you make influence the course of the game. You play as Chloe, a girl who has a rebellious attitude ever since her dad died and her (then) best friend: Max left. Chloe has unlike Max no superpowers she can use. So in this game, you don’t get rewind powers but you do get an attitude. Chloe has a special discussion feature where the player has to choose the right comeback in a time limit. 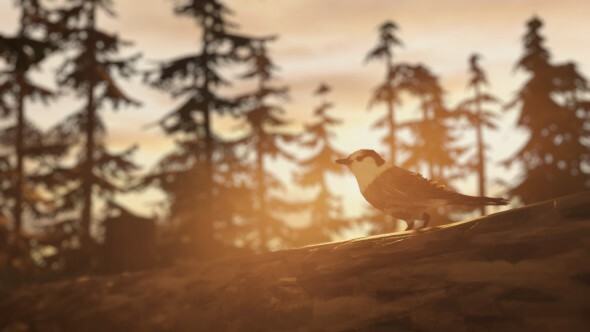 This means that the player has to pay attention to the conversation and sometimes has to examine objects in the surroundings to get the right comeback. Chloe has a journal where she describes the characters the player just met and gives her opinion about them which can be helpful in the game. She also writes about her day in the journal but instead of treating it like a dairy; she writes letters to Max that she will never send. Chloe feels abandoned by Max because she almost never replies to anything Chloe sends her. In the journal tab, you can check text messages and they even included the ones sent from before the storm’s timeframe. You can read the desperate cries from Chloe to get attention from Max and also her deals with Frank her drug dealer. In the original game, you are able to collect several photos you take, as extra in the game for achievements. Of course, Chloe is much more rebellious than taking just pictures like Max so in Before the Storm, you collect graffiti that Chloe writes in random places. The player is also able to choose between two things Chloe can write. This adds an extra feeling that you can really influence the game. Although it does feel like your choices in Life is Strange: Before the Storm have less influence than in the first game. This difference might be because in the first installment Max could just rewind if she didn’t like the outcome. Chloe doesn’t have that power and is stuck with her/your choice. In Before the Storm you can learn different things from the surrounding that can help Chloe’s discussion feature but also helps discover more about Arcadia Bay. It’s also really enjoyable to hear Chloe’s sassy opinion about most objects. Chloe can talk to a various amount of people who might give some more insight about the town or about Chloe by talking to her. Some even have a few enjoyable extras. For example: Chloe being able to play a kind of DxD game with two other characters. These conversations with some characters are more extra features but still expansive for being not the main goal. 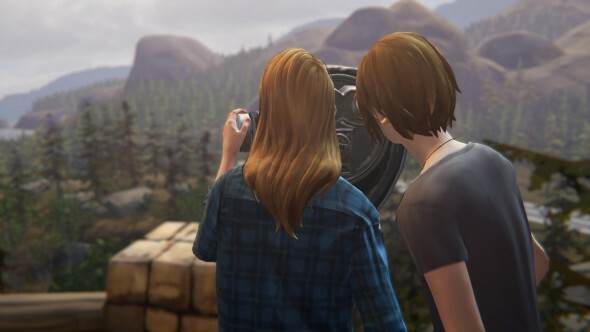 If you forget what you were trying to do, to continue the main storyline, you just have to look at Chloe’s hand because the main objective is written on there. Which is pretty handy. Episode One from Life is Strange: Before the Storm is a great kickoff for the second game of the Life Is Strange series. In this episode, you get to experience how Chloe felt when Max left and how her rebellious attitude started. 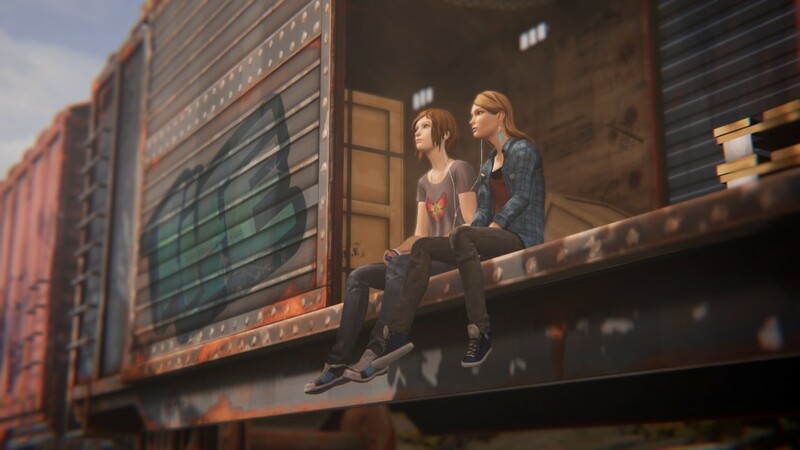 It’s also amazing to finally know how Chloe met Rachel and to see how their relationship developed. The excitement for the other episodes has been heightened even more. So if you played or didn’t play Life is Strange, it’s an adventure through emotion that is a must-have for every gamer.